I submitted recently that, the stigma attached to the Ebola Virus Disease is an enemy within that will take months or years to overcome. I argued that until, particularly the western media can see the need to also present the positives in terms of Africa’s growth, they will never focus on ‘the other side of the continent’ – if all they care about is their ‘raw materials’ of war, poverty, famine, and health hazards. My argument was based on the premise that since the outbreak of the Ebola Virus Disease, not only have the affected nations been portrayed by a section of the international media as nations with no future and with broken hopes, but ones with explicit mistrust between those running state affairs and those upon who’s behalf the affairs of state is managed. Let me make the point, Ebola is indeed real. But I come to appreciate the national response to it, when I arrived home on vacation. 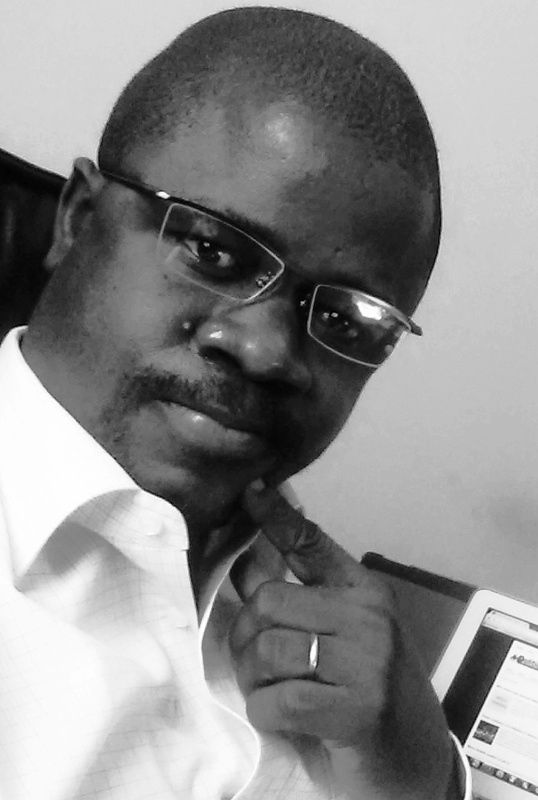 Challenges there are, but with no broken hopes, as we see from media reportage. The outbreak of the EVD was faced with a plethora of challenges. The aspect of public acceptance was one of such; another being the typical African customs, values and traditions, in handling the dead and paying lasting respect to them before burial. There is now a strong sense of public awareness and acceptance regarding the existence of the virus unlike before, and this sounds encouraging. (Photo: John Baimba Sesay). Maybe, an ongoing challenge is the issue of people finding it difficult to voluntarily hand over their dead relatives to the burial teams for burial, thus reducing the level of transmission. 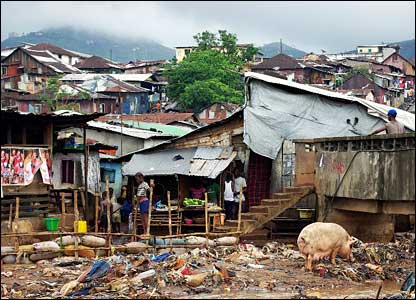 Sierra Leoneans can be strong and resolute. 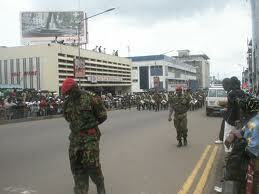 The rebel war came and how we ended it was a classical example of how the average Sierra Leonean can be determined. The national response has been, in my estimation great and encouraging. And I see the appointment of Rtd. Major Palo Conteh as CEO of the National Emergency Response Centre, as timely and prudent. The military will help in tackling the challenge of people not being that ready to hand over their dead relatives as instructed by Government. They should be fully utilized to bring about the needed resource, especially manpower. We only now need to give all the support that Palo Conteh would need, for we all should be in it together. As a people, we indeed have remained strong, resilient and resolved to see an end to this scourge, a people well determined to work collectively. We have not demonstrated any sort of broken hopes; rather, we are a tough people who have seen more challenges before now. I met the president briefly last week. I see courage in him. I also see in him the will and readiness to not only see an end to the EVD, but to move the country along the path to a prosperous nation. The president and his Government continue to have sleepless nights, all in a bid to eradicate this virus. Also, one will continue to thank the international community, especially our friends – the People’s Republic of China, the United Kingdom and others for their continued support. Indeed, given the unprepared manner with which Sierra Leone and the other countries were caught by this virus, whatever international support that came along, could not have been timely and appropriate. The Chinese have continued to demonstrate that they truly, are friends. The challenge is still here and it will continue for weeks to come. But hope there is that we shall overcome. As a people, our determination and resolve should be built around the fact that in the last couple of years, we have been working hard in our quest to not only fix our battered infrastructure, but with a strong will to fixing our economy, and fully trying to utilize our potential in the agriculture sector. Seven years of governance under the Koroma leadership have come with many positives to the point where, we should not allow the EVD to overshadow all of that. We should have no busted hopes; rather we should be strong, courageous and ready to fight on. 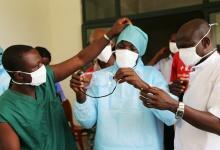 Ebola is real and it kills but preventable. We must fight on. 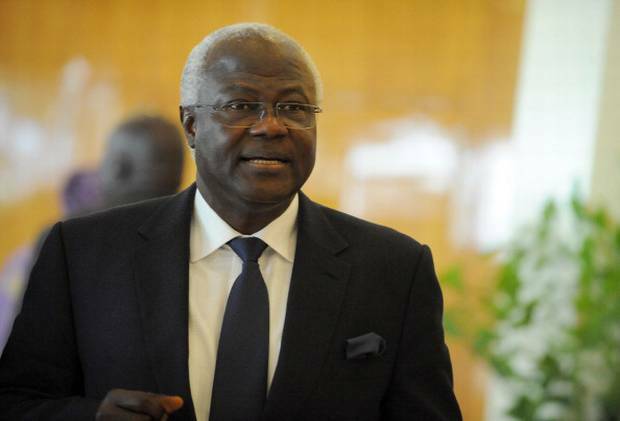 Is president Koroma seeking a military style solution to the Ebola war?